Here at Pack hacker, we’re always on the lookout for the latest and greatest pair of travel pants. They’re a tricky part of one bag or extended travel—you want something that will be comfortable, antimicrobial, versatile, hopefully stain-repellant, and of course, durable. A lot to ask for in one pair of pants. And while they may not be the most exciting topic on the planet, we’re always ready to geek out on some travel gear. In comes the Western Rise AT Slim Rivet Pant. We’ve tested out a number of products from Western Rise with fairly mixed results, so we’re interested to see how these pants hold up. 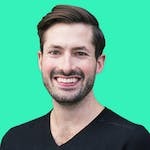 Their gear doesn’t actually fall into the specific “travel” category—they mainly have an outdoor/active focus—but the qualities they instill in their products transfer over nicely to what any seasoned traveler is looking for. These pants in particular are “built for active life,” which seems to fit the bill nicely. Any time we hear the words “nano-scale” used to describe a pair of pants, we get a little skeptical. But we’ll leave the technical jargon aside on this one and give you our honest thoughts below. While a nylon pair of pants may sound terrible, it’s really not that bad. We’ve been testing these for three months and we have to say, they are pretty comfortable (it must be the “air-texturizing”). They are a bit “starchy” out of the box, but the 3% elastane gives some much-needed stretch. The nylon does add a bit of a “swish factor,” but it’s not outrageous. Do they feel like a pair of jeans? Not quite, but close. 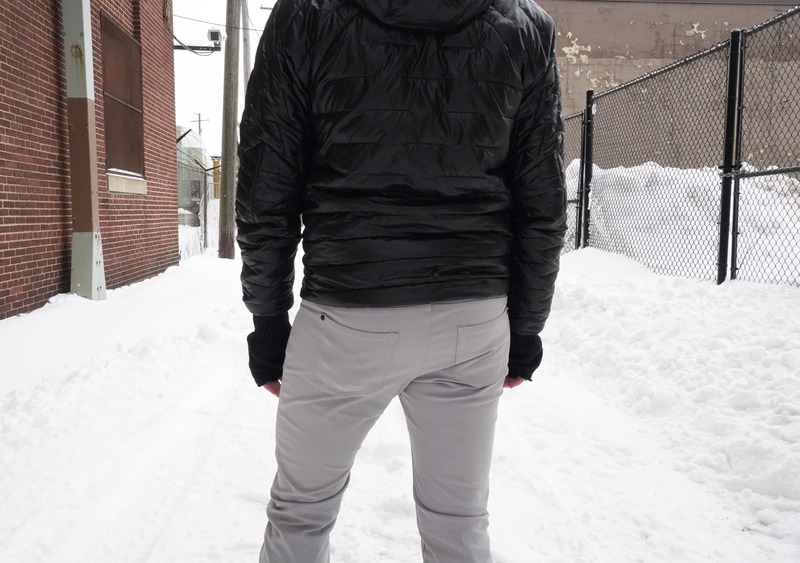 We have found these pants to be very breathable, which is great for a pair of travel pants—the last thing you want is to be in an uncomfortably warm pair of pants while your plane is delayed on the tarmac. 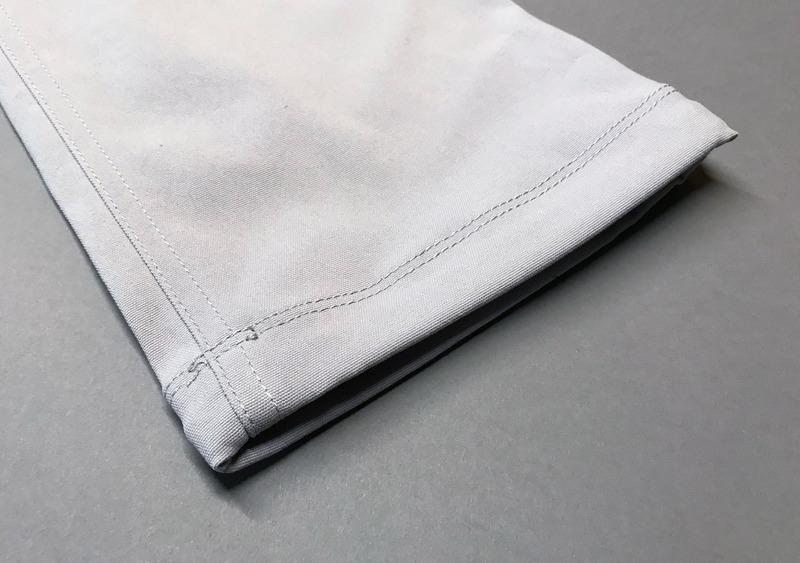 And while they aren’t specifically antimicrobial, the nylon doesn’t get very stinky—you won’t need to wash these as much as a pair of cotton pants, for example. Outside of the traditional travel realm, one of our team members did some extensive hiking with these and they held up really well in terms of durability. He also reported that he never felt too hot or cold in them, which is pretty impressive when you’re climbing a mountain. The overall look of these pants is really nice. They clearly don’t look like “travel pants,” which is a must for us. No cargo pockets, and the fabric helps these pants look pretty normal. We think you could get by with these at a semi-fancy restaurant, especially if you were to go for one of the darker colors. The sandstone color probably wouldn’t fly—they’ve got a bit of that coverall/work pant look. 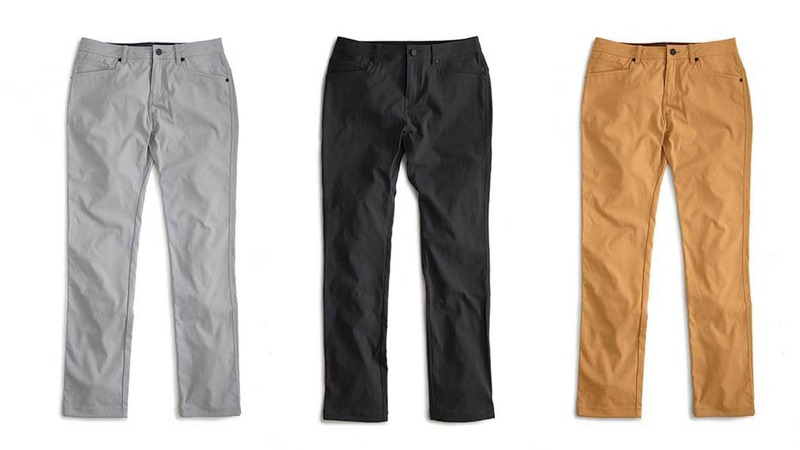 These pants come in three different colors—cloud, shadow and sandstone. Those names provide almost no detail, so we’ll give you a bit of context here; cloud is a really light gray, shadow is a dark, almost-black color and sandstone is essentially a darker khaki. We’ve been testing out the sandstone and cloud colors. As far as fit goes, these pants have been “designed and sized for a flattering and slimming yet comfortable fit,” which is actually fairly accurate! They’re not baggy but also not overly slim and will fit nicely over a boot, if that’s important to you. Western Rise does recommend sizing up one size for the best fit, and several of our team members have confirmed this—they definitely run small. They’ve got a nice range of sizes, though—even up to a size 40 for you giants out there! 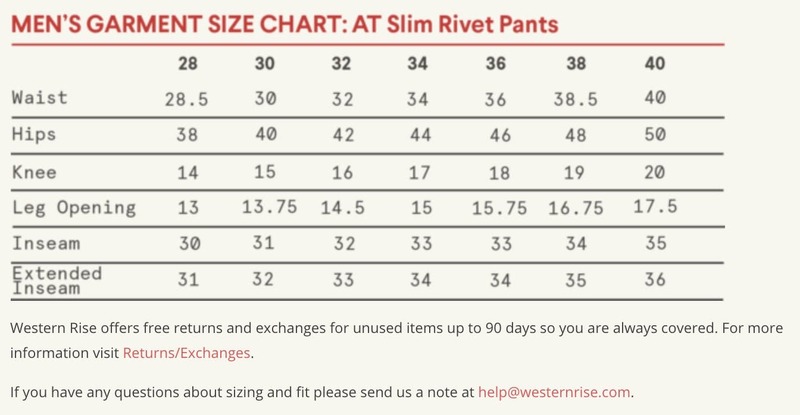 The weird part about Western Rise’s sizing is that they seem to scale their waist sizes with length. So if you buy a 40 length pair of pants, you’re also getting a size 40(ish?) waist—not great if you’re tall and skinny. We have definitely found these to sit low on the waist, so you’ll almost certainly need to wear a belt—especially if you are on the skinnier side. These sizing issues weren’t a dealbreaker for us, but it could’ve been better. If you’re really concerned you can always send them an email at help@westernrise.com—they’ll help you out. As far as the various “components” on these pants, they’re pretty standard for the most part. There is a good sized YKK zipper on the fly, which we were happy to see—definitely bigger and sturdier than most pants. And the belt loops are all fastened with these slick jet black rivets, which we really like. 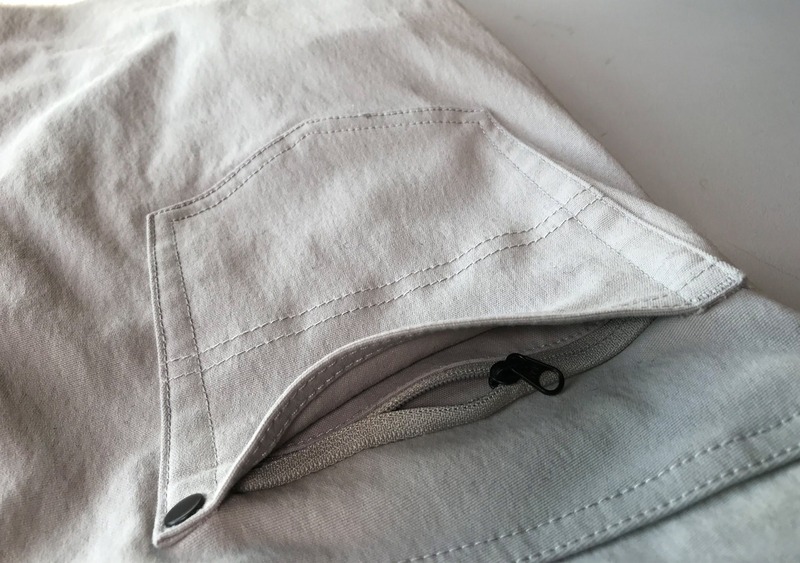 There are six pockets on these—two regular pockets in the front, two regular pockets in the rear, and then one of those tiny little pockets inside the front right pocket. Here’s a fun pant-fact: those small pockets on jeans were originally intended for pocket watches! Back in the day, people used to throw their pocket watches in there for easy access while keeping them protected. Pretty cool, right? Of course, the hipsters of the world have known this—and been doing it—for a few years now. A Little Added Security on The Western Rise AT Slim Rivet Pant. 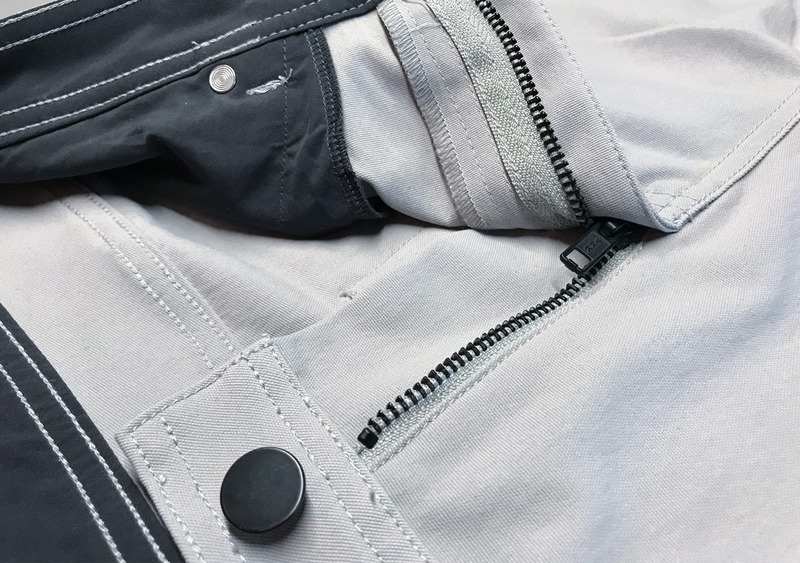 If you were paying attention you probably noticed that we only mentioned five out of the six pockets… Well, the last pocket is a secret zipped pocket within the back right pocket. This is a really nice feature and we thought it was really well executed by Western Rise. It’s sort of inside that rear pocket so you really can’t see it, but it’s still big enough to fit a wallet in. If you’re concerned about pickpockets you can easily throw your wallet into this zipped pocket and walk around with some peace of mind. Oh, and it’s a YKK zipper. Sweeeet! At the end of the day, we’ve been pretty happy with these pants. If you’ve been following us you probably know that we are huge fans of the Outlier Slim Dungarees… So the big question is, are these worthy of taking the number one travel pant spot away from the dungarees? Well, no. Those dungarees are just super comfortable, versatile, and they’ve held up through some years of abuse. They’re a tough act to follow, but Western Rise has done well. After two misses with the Strongcore Merino Tee and Henley, we were really happy to see a great pair of pants from Western Rise. They’re a bit pricier than other, similar pants, and personally, we’re not quite sure the quality justifies the cost—but we’ll leave that up to you. 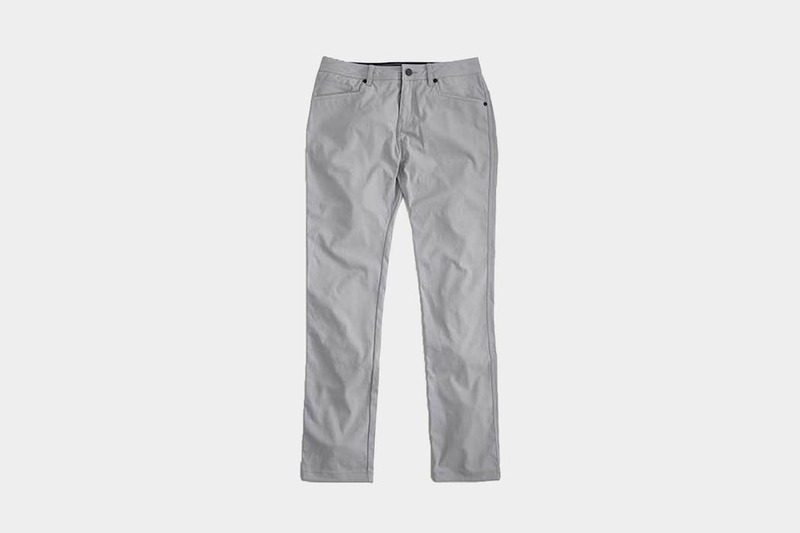 They are, however, a comfortable and fairly versatile pair of pants that should hold up well in just about any travel situation. Starchy, but comfortable. Sized a bit small. Losing some of that starchiness, they’ve broken in a bit. No complaints! Comfortable, still going strong. Have worn them in a few different travel scenarios and they’ve held up well. These have seen some extensive hiking and travel and held up well in a lot of different conditions. Breathable, comfortable, versatile. The Western Rise AT Slim Rivet pants are “built for active life,” and we can confirm that travel is included in that category. These are a solid pair of travel pants as they’re comfortable, versatile, and they look like normal pants! The major downsides we found were issues with sizing and price. They’re not the most cost-effective pair of pants around, but we’ll let you make the final verdict on that front.